Disclosure :This is a sponsored post for SheSpeaks/P&G. 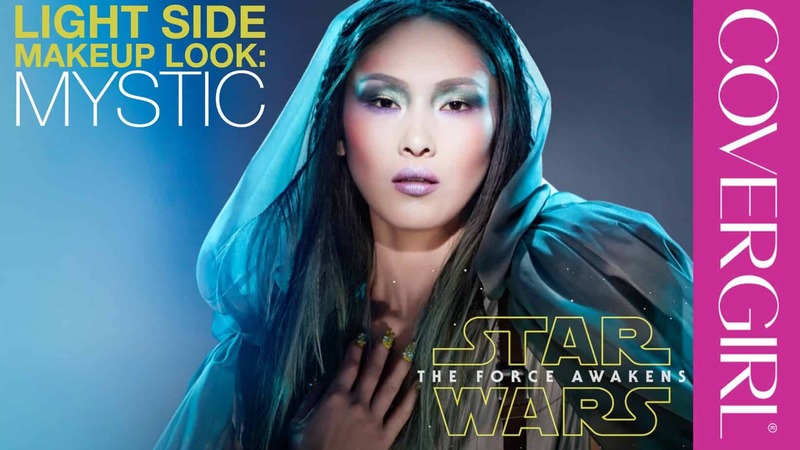 The new Star Wars look from Cover Girl is fresh, exciting and mysterious. 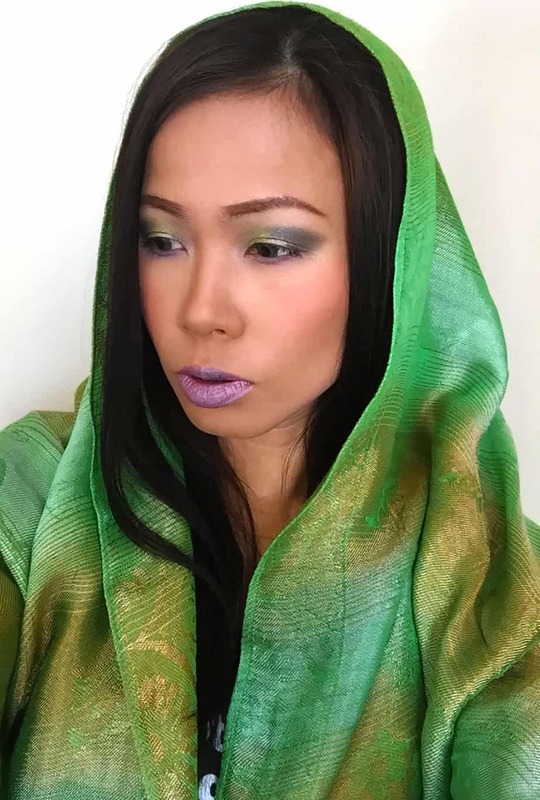 I had a blast creating the Star Wars mystic look, with the most amazing shades of green, pink and purple. By using the different items of the collection in-tandem I was able to give myself a complete transformation, ready for the red carpet of the Star Wars movie premier or just a night out in the city. There is something so fresh about each of the looks in this collection and I’m excited to try more out. The broad palate of colors are stunning additions to spice up your compilation for everyday use, and they have the same quality that you’d expect from Cover Girl. The products are super pigmented, with colors unlike any I’ve seen before in the world of make-up. They are easy to apply and buildable depending on how dramatic look you want to achieve. The Bombshell Shine Shadow Eye Shadow is just awesome because it can also double as a base. It won’t crease and no eye primer is needed. The whole Star Wars limited edition collection is a set of makeup products that can be used in your daily beauty routine. 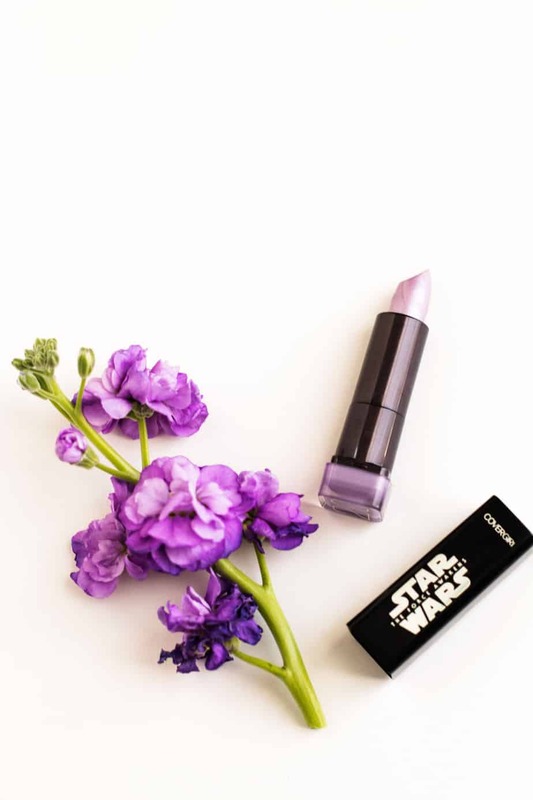 The lipstick is one of my favorites of the Starwars collection because the lipstick color is pigmented, has great texture and is very moist. (2) Then use my favorite moisturizer and apply the Cover Girl Outlast Foundation using a sponge to hide imperfections, reduce redness and appearance of pores. It gives a natural and glowing finish. (3) Start priming my eyelid with COVERGIRL Bombshell Shine Shadow Eye Shadow 305 Color Me Money. I just use my pinky finger to apply and blend the product softly. (5) Bring in the darker shades from the CoverGirl Eye Shadow Quad platter on the outer corner of the eyes to make them look larger and dramatic. (6) Use a flat brush to apply the CoverGirl Eye Shadow Quad (number 2) over the lower half of eyelid and blend the color to achieve a smoky look. (7) Use the sponge tip of the applicator in the CoverGirl Eye Shadow Quad (number 4) to apply the darkest shade from the inner corner of my eye outward to make a point, then draw it in to connect with the outer corner of my eye. 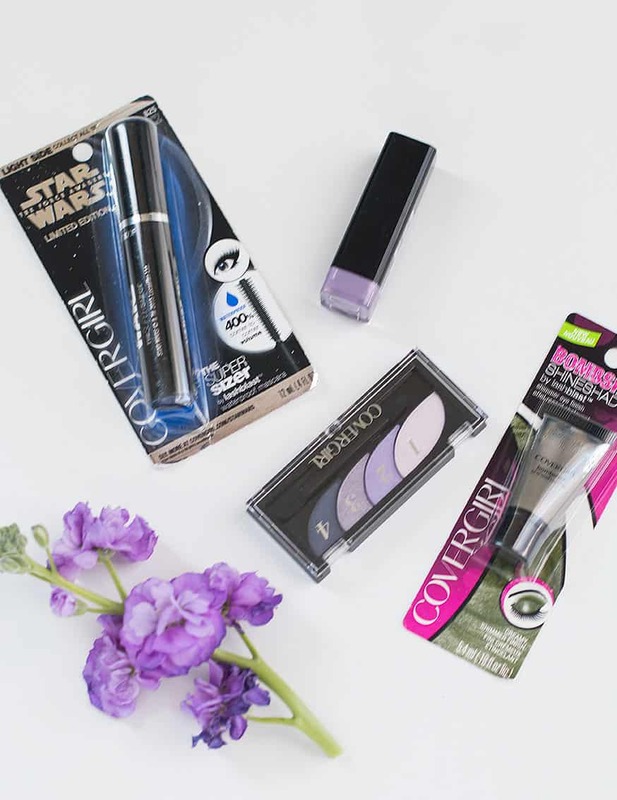 Win a complete COVERGIRL Star Wars Looks Limited Edition! Love the shimmery purpleish lips. I love the eye shadows. I am old school and still love the Princess look but I am always open to try new things. I want your Mystic look. You look like a fairy in enchanting forest. I love the mystic look. I love the shades of the eye shadows and the lippie. A great alternative for those who want to give themselves that ethereal feel! Beautiful. Your makeup looks awesome. I love that shade of lipstick on you! Now you’re all set for the premier this weekend! Those colors are pretty. I love that shade of green. Wow these pictures are awesome! You look great! I have never tried green, but I really need to! The Mystic look is great! You did an absolutely fantastic job! You look just beautiful. P.S. I’m really loving the dark shadow on the outside of the eye, and that lipstick is fierce. Love the colors. I didn’t know they had Star Wars themed makeup. I will definitely check it out. This is a great review and I am always looking to try something new. I may have to get some for the opening of the movie this Friday! This is super fierce I could never pull off this kind of make up look but you rock it girl! Awesome giveaway! Love all of them can’t choose ???? I really love the colors of Star Wars! These colors look fantastic on you too! You are stunning. I couldn’t wear those colors myself but they look amazing on you. I bet my young adult daughters would love these colors. This is such an awesome look. I love how each color has some serious shimmer! That lipstick is so cool! I love the mystic look! Looks great on you. Oh I LOVE this look! I cannot believe the coincidence of a makeup look I did and a friend asked if it was the new Star Wars makeup. Now I know why. I love your look especially the lipstick, starwars look are really pretty. Looks great! This is a great way to show love for the upcoming movie, Star Wars. This is a very nice look. It suits you! You sure nailed the look! Very nice! That’s a really cool look! It would be perfect for a Star Wars movie watching get together. Really nice! I think purple color suits your skin tone. YOu look great! Oh my goodness, these all look so awesome! They’re seriously fabulous. Your look turned out great. I hope you do it again when you head to see the movie. This look is beautiful! Very futuristic, I love the lavender lipstick! This is a great look. I love the eye shadow. I am so excited to go see the new Star Wars movie. This is such a cute look! We love Star Wars and can’t wait to see the new movie. I am going to attempt this look. Shared on Twitter again. Love the look and anticipating the movie! I’m all about the resistance pilot look, but LOVING the sayings on the mascara. You look wonderful. Loving that Star Wars makeup. I had no idea they sold this. I really love the Mystic Looks of yours, You really like a fairy. I want to try these too. Thanks for sharing. What a great look. Awesome indeed! I love this makeup look. The lipstick colors offered in this new Covergirl Star Wars line are so pretty! I wish I am talented as you when it comes to make over. I like your eye shadow it looks good on you. I love this look! I will check out this line. I love it! I was about to search a make up look because I’m going to an event and we’ll watch the star wars afterwards. Great! You copied the look perfectly! I love it! The look suits you! Love the colors! Great look!! I keep looking for the Covergirl Star Wars collection around my area but it’s all sold out! LOL! Cover Girl is such a classic product for women! Great look! Such a great look! I would love to try that lipstick. I’ve never tried that shade before and I’m excited to try it. 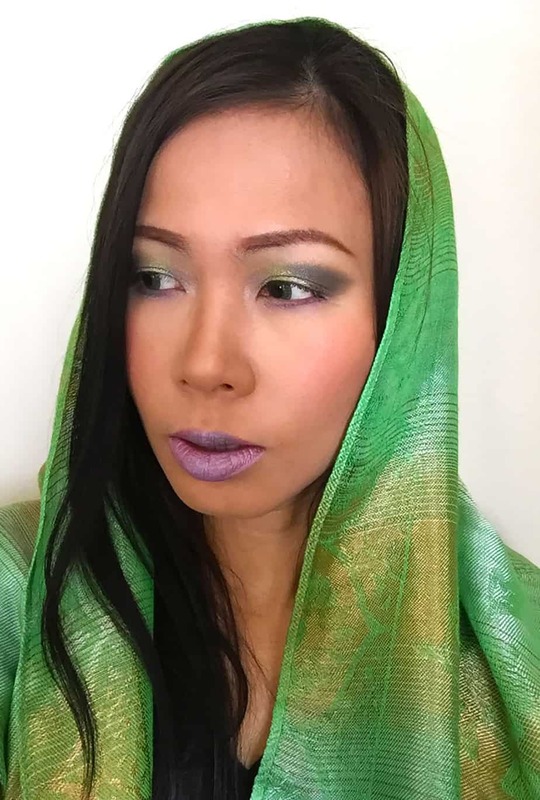 I love the mystic look, I love the green and purple together. The shine and sparkle is so great and the packaging of these products are to die for! I love the makeup look you have girl! Green eyeshadow is one of my faves! This is definitely a cute idea! Such a beautiful look and not at the expense of a scantily clad lady. Omg loving this whole look!!!! Makeup looks totally awesome! Loving the lips the most! This is such a great look and you pulled it off completely! It looks just like on the cover! I could even use these to dress up the grandchildren while we watch the movie tomorrow! The eye shadow really pops and looks like a lot of fun to explore with. I love the platinum lipstick! Is the contest over now that the movie has opened. Retweeted again. Hope the contest is still running. Love the eye colors for mystic. Gorgeous! Just tweeted for an entry! I’m loving the mystic look. I want that eyeshadow badly! The Mystic look is cool. Love the Mystic look! Absolutely beautiful lipstick! The color is just so vibrant and yet feminine! I love the green, I can’t wait to try it!!!! I love the mystic look because shadow is very pretty and makes your eyes pop! 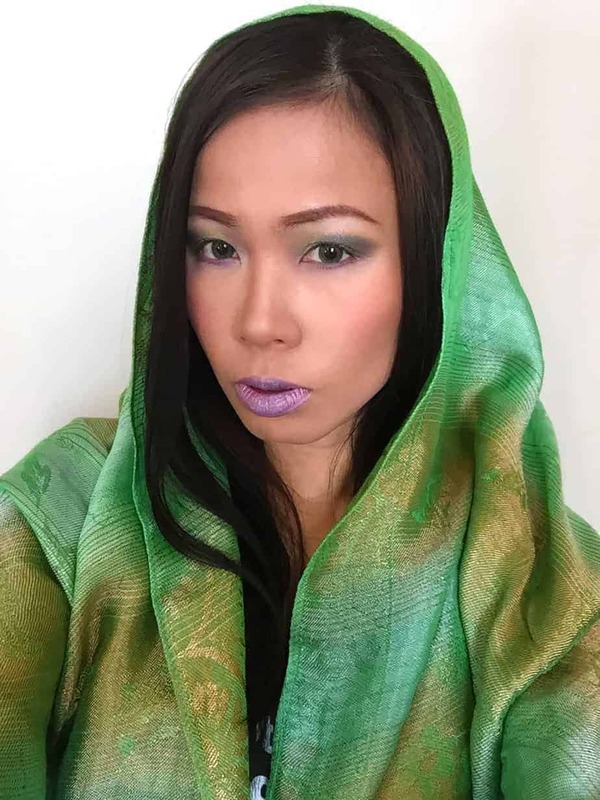 I really like the Mystic look makeup you did! I absolutely love this Star Wars Mystic Look! Stunning! ? I LOVE the eyeshadow!!! I have green eyes so it’d look especially great on my eyes! I love the light side Mystic look. Purple is my favorite color! I really do like the mystic. Green is one of my favorite colors! I know a friend that would love these products. I am in love with the Mystic Look!!! The Mystic look is amazing!!! Oh my gosh, I love that look! I’d go to the movies with that.